Atiku Abubakar, presidential candidate of the Peoples Democratic Party (PDP) in the 2019 elections has re-affirmed his commitment to restructuring if elected on February 16. Abubakar gave the assurance while addressing thousands of party faithful at a presidential rally at the Adokiye Amiesimaka Stadium in Port Harcourt, the Rivers State capital on Monday. Ahead of the presidential and governorship election this weekend, the police have issued a warning to politicians and political parties, urging them to play by the rules to achieve peaceful elections. The warning came as political parties and candidates for the coming elections in Ondo State signed a peace accord stating their commitment to peaceful elections. The deputy Inspector General of Police, in charge of Operations and the supervising DIG for the election in the South-West geo-political zone, Jubril Yakubu, gave the warning on Monday at the meeting in Akure. Former US President, Bill Clinton, has cancelled his planned trip to Nigeria ahead of Saturday’s general elections, saying the visit could be “politicized.” Clinton was scheduled to visit the capital, Abuja, this week alongside Baroness Patricia Scotland, the Secretary-General of the Commonwealth. The planned trip was facilitated by the Kofi Annan Foundation and the National Peace Committee (NPC). 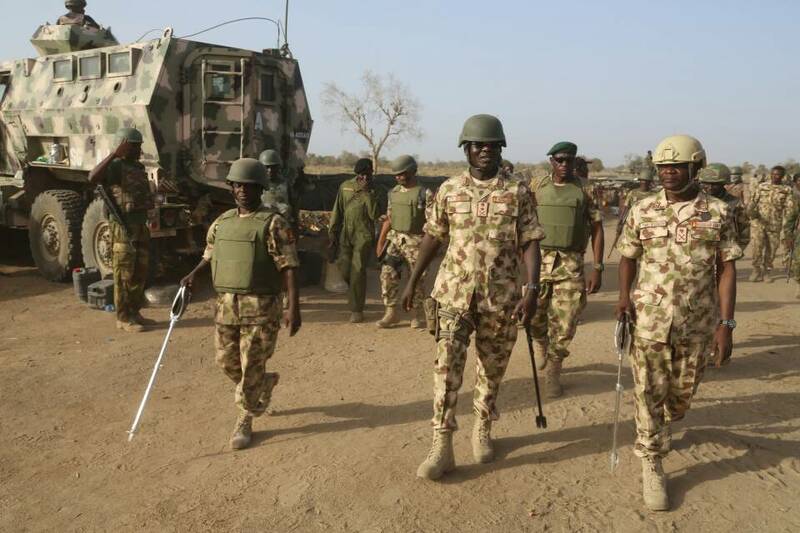 The Chief of Army Staff, Tukur Buratai, has vowed that the Nigerian military will break the unholy alliance between the Boko Haram terrorists and Islamic State West Africa or ISWA. Buratai, a lieutenant-general, spoke on Monday in Abuja when he declared open a two-day maiden “Career planning and management’’ seminar for senior officers.